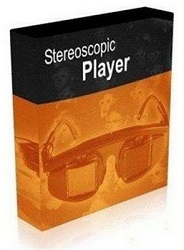 Stereoscopic Player is a versatile 3D movie player. It allows you to play stereoscopic videos and DVDs (external decoder required) and also allows you to watch live video from a capture device. 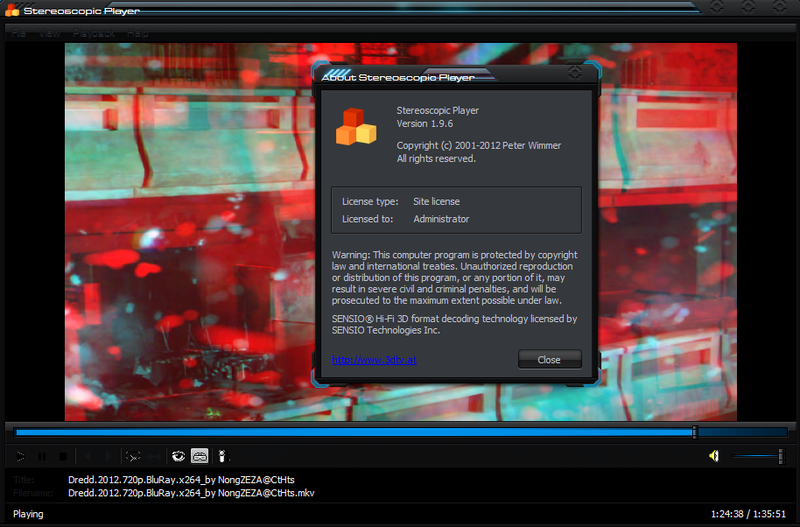 Since it is based on DirectShow, it can handle almost any media format, for example AVI, MPEG, WMV and ASF. Videos can be coded in several different stereoscopic formats. Stereoscopic Player 1.7 features playback of 3D Blu-ray SSIF files, has build-in support for Matroska, Flash, MP4 as well as MPEG-TS formats and adds generic support for arbitrary single-viewer and multi-viewer autostereoscopic displays.